I worked in the investment business for over 15 years. Last year, I decided to transition my career to focus full time on health and fitness. More specifically, my mission is to help others become the best version of themselves. In addition to the XPT coach’s certification, I also hold the Art of Breath certification and am an Aerobic Capacity ambassador. I enjoy competing in endurance events and completed the World's Toughest Mudder, a 24-hour race around Lake Las Vegas in November 2017. I believe that fitness is a lifestyle and should play a role in developing the whole person. 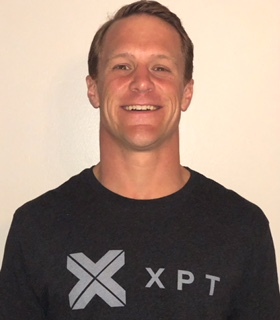 I'm based in Memphis, TN and focus on working with professionals on breath work and recovery to assist them in their daily lives, athletic performance, and developing a more holistic approach to their training and lifestyle.